It's that time of year again, when the fabulous Mark Warner have announced their brand ambassador entry challenge and this year we've dived right in. Though we're not the most 'pinterest worthy crafters' as a family, we've really tried though I think we might just need a holiday for the test it put our relationship through. What is it they say about not mixing business and pleasure? If anything has came from the task it's that me and John would never, ever be able to work together. Back to the challenge, Mark Warner have asked us to pick out our top ten travel essentials and having two sons I now realise how important it is to get those essentials right when you're travelling abroad. I'm extremely fortunate that we've always holidayed abroad from Brazil, Cuba and Mexico, to Tunisia, Egypt and Turkey, I am incredibly grateful that my parents let us explore the world first hand and take it all in with our own eyes. It's opportunities like this that I wish to pass onto my sons, I truly believe travel does broaden the mind. Experiencing other cultures and climates is exciting, intoxicating and breathtaking, I don't think there is much in this life that we enjoy more than jumping on a plane and soaring off into the sky. 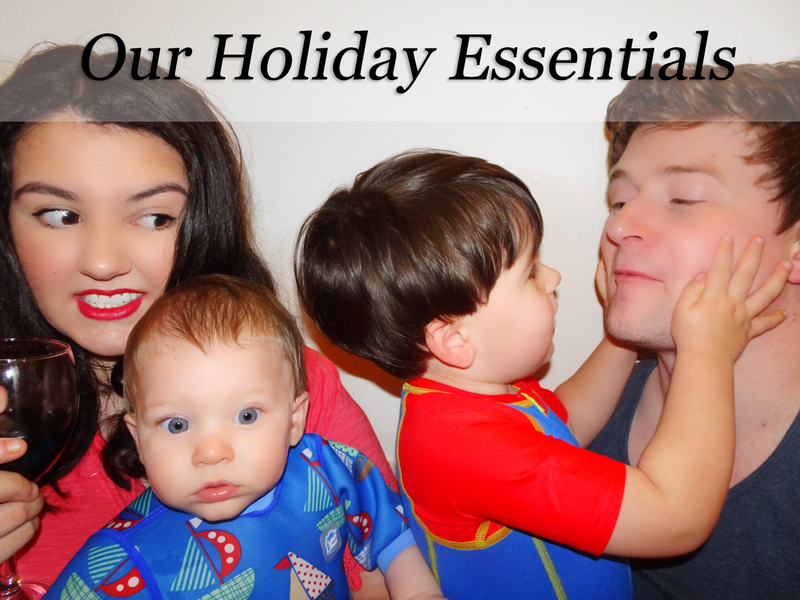 As I mentioned previously, I don't think you quite realise how essential some items are till you have little ones relying on you, so here we are filling you all in on what we think it takes to make a holiday of a lifetime. Of course, Noah added his touch too with some painting and colouring! #1 Sun shine - The ultimate essential for us. We can make the best of most situations if we forget other things, but the sunshine roaring above our heads always keeps us happy and as a family I feel we most definitely thrive in the glorious rays. My toddler might just have launched his shoe into the middle of the swimming pool and my baby decide to fill his nappy as soon as I sit down to eat, but I seem to find the ability to shrug any scenario off that bit easier in the tropics. Noah has just turned three and he's already clocked up a fair old amount of stamps on his passport so I'm sure my boys will be avid sun seekers just like their parents. #2 Sun cream - An absolute essential to go hand in hand with the sunshine, after all, you can't possibly enjoy it as much if you're red and sore. We always make sure we're loaded up with factor 50 and we manage to have a beautiful colouring on our returns every year. I really enjoy Niveas coloured spray for the boys as I can instantly see where I've applied and what areas need more. No red patches for us, and when I say us I am most definitely excluding John from the equation because that man will not listen. His skin complexion resembles a male snow white, yet I don't think after 26 years it's quite sunken in. Ironically my eldest absolutely nailed the look I'm often giving John. #3 First aid box - I load ours with; plasters, calpol, paracetamol, bite and sting relief, antiseptic cream, anything and everything you might need to treat any minor ailments. It's a sure thing that my toddler will trip and graze his knee, I wont wear those new shoes in that I bought and end up with blisters, and my other half will teeter on the verge of sunstroke through not following the above instruction properly, so a first aid kit is a must. As with most things you can bet your bottom dollar that the one time you forget it, is the time you'll need it most. #4 Instagram - Did you ever really go on holiday unless you uploaded your snaps to Insta? Hot dogs or legs? #6 Beach towels - Depending where you're heading you might be lucky to get them provided. But if not, Whether you'll be using them to lay on, dry yourself with, create shade for the little ones or even cover your belongings whilst you head off on a banana boat. The possibilities are pretty endless, so for us towels are an essential. #7 Sunglasses - The bright sun can sometimes be a shock to the system when travelling from the UK, as let's be honest sun isn't something we are over familiar with is it? Sunnies are a must to keep migraines at bay and frown lines on the minimum. But the more obvious use for the parents amongst us is to hide A) the huge eye bags that we've been sporting since the day our babies were born or B) to hide hungover eyes, because wine was the only way we could make it through a 6 hour flight with two smalls. the sand you have profusely told him not to or spending an entire flight repeatedly asking the passenger behind you can they pick up the crayon that your toddler has dropped for the 12th time, a little tipple is often needed. #9 A travel pram - If you're like me and have a baby in your tribe, then a pram is a pretty important essential. It's obvious, but which pram you take isn't quite so. We like to make sure that a pram we use for travelling ticks three boxes; it folds small, it has a good sun shade and it provides good support. I think if you follow a similar check list you can't go wrong. A little tip though if you purchase new, always familiarise yourself with how to fold up and down as having a semi-domestic in the airport because neither of you has a clue how to do it, isn't cute. #10 Family - Lastly but by far the most important, my boys. I can't think of any two little mini man cubs that I would rather travel this earth with and of course we have to have the leader (or the one who thinks he is the leader) by our sides, telling us wrong directions and never applying as much sun cream as he should. This isn't it all though, of course not, I think we all know as parents that the list doesn't end at 10. So head on over to my Pinterest #MarkWarnerMum board to check out what other essentials I just couldn't go without. Love how you shot this post! That sunscreen picture is so precious! Yes to these, definite essentials that's for sure. Great post! Number 2 is very important for me otherwise I'll come back as lobster! Great entry! Loving the sunglasses! Wishing you the best of luck! This is such a creative post! I love the flip flops! EM I LOVE THIS POST!! haha! Noah saying his flip flops 'Got His Toe' is so bloody cute and absolutely hilarious! I second the needing the sun glasses and wine haha! This is such a fab post! 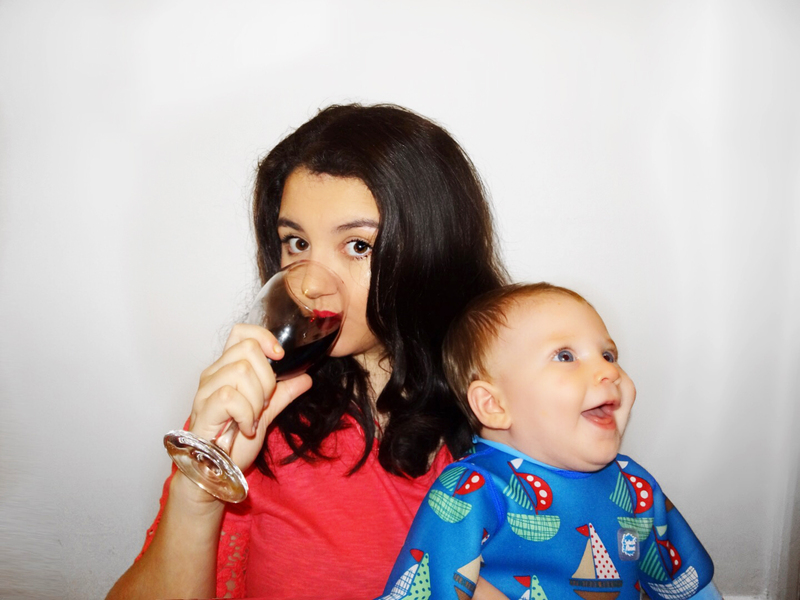 Sun, wine, Instagram and a travel pram in that order...yes, totally agree with your choices :) Good luck with the competition! Those homemade flip flops are too cute! 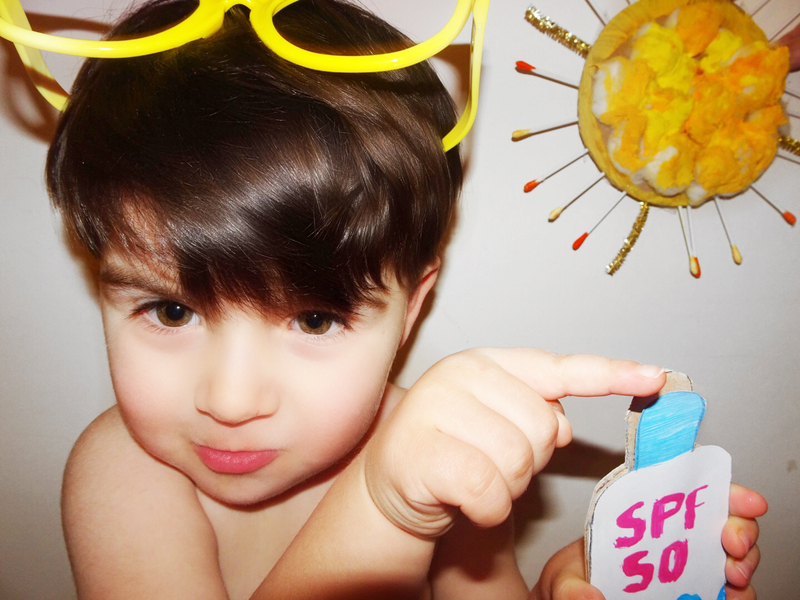 ;) Traveling really is the best and I'm so glad your sons are fortunate enough to experience it at such a young age! haha I love this, such a fund post. I find it hard enough to pack for myself, can't imagine how long the packing list is if you have a family. LOL. loved the way you made photo booth props. It is a fun way to remember what to bring on holidays. These photos are adorable! Especially the flip flops :) Good luck! Good luck! 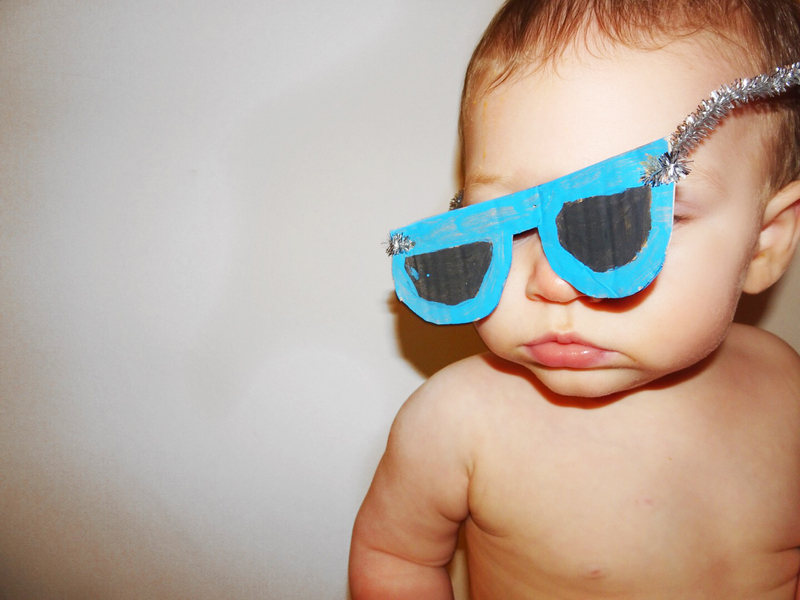 Great post, I love the one of your little guy in the shades! So adorable! Great post and fab photos. We always take a high factor cream and first aid essentials. This post is fantastic. I love those flip flops! Good luck! I think you nailed it with this list! Awesome entry and very creative - I've entered too, here's hoping! Definitely need the alcohol factor. Sun cream is definitely an essential. I really don't think that people look after their skin in the sun enough. 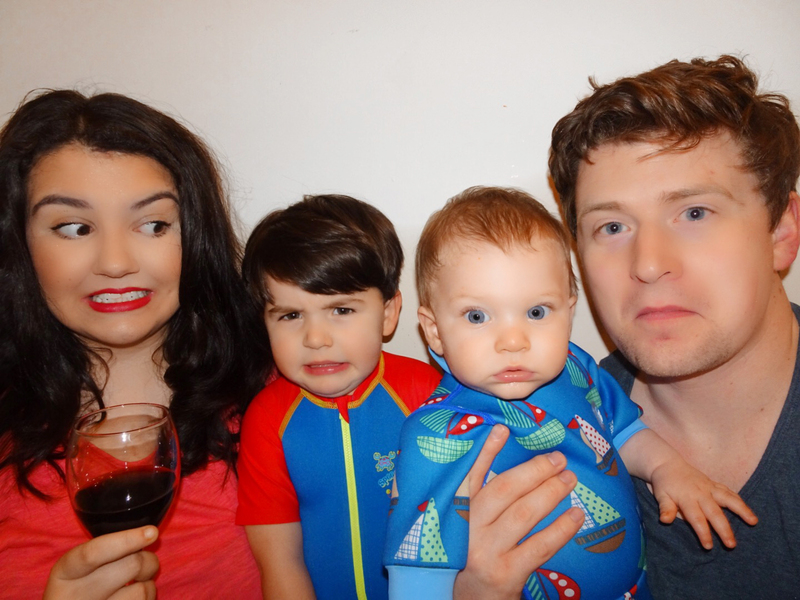 Ha ha I love these photos - what a funny and honest post - best of luck with your entry! All the photos of this post are just adorable! 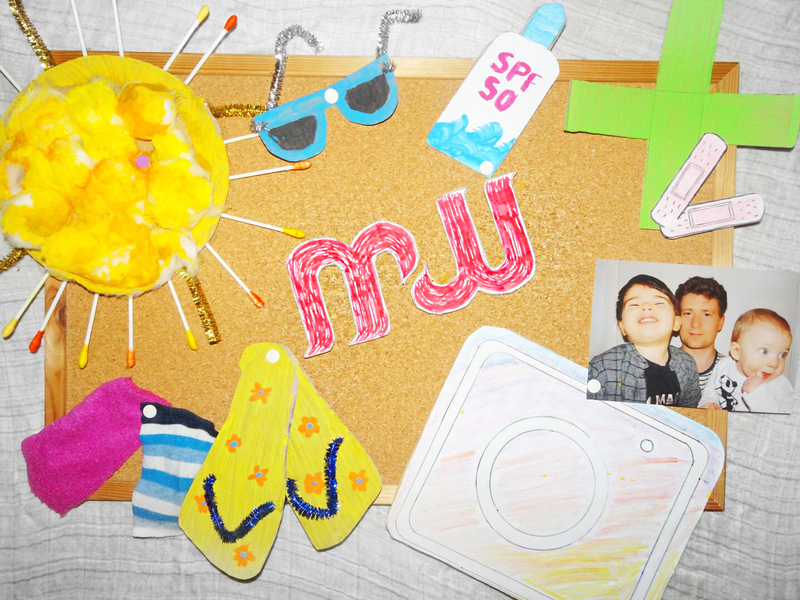 I love the creativity you put into your mood board too. We don't really go abroad but we do holidays in the U.K. And I agree with all of these, although I will say I've never taken a first aid kit away with me 😱 Definitely one I will be packing going forward! Fabulous post - love the flip flops. Think all of your essentials are pretty much the same as mine even though I don't have the kiddies! Sunshine, wine and flip-flops make for a great time! Ah brilliant, great list! Those flip flops! haha Lots of luck! I love that you included insta onto your list, instagram is life ha! Sunglasses are a must, have to look fabulous! Definitely a yes to all of them! Especially the sun, got to get plenty of sun! I love the photos and cardboard cut outs, brilliant! Such a great list! I am terrible at remembering everything so I start my list a couple of months before I go and keep adding to it! This is so cute. I happen to think your crafting is definitely pinterest worthy! Sun cream is an absolute must. My shoulders always fry and I dread seeing kids on holiday with sunburn :(. Sounds like you have been to some amazing places. Love these pictures!